I qualified for this big event only four weeks ago in my first Ironman race, the Ironman UK in Sherbourne, Somerset. Eventhough I successfully made it in the top 10 at Ironman UK and managed to beat some of the professional athletes, I qualified with a second place in my age group. In only four weeks I had to find the sponsorship for my first World Championship race, book the flight, arrange hotel accommodation and service and update all my equipment, while still training and preparing for the race in Kona. Since I was living and training in Cambridge, I had to travel to Kona on my own without the support of the Austrian National Team, starting in London. During my stay in New York, waiting for a connecting flight to Honolulu, the 5 Islands of Hawaii were destroyed by an earthquake which stopped all air transport for one day. My flight to Hawaii was cancelled and I was strongly advised to return home. I was devastated! All my years of training and sacrifice seemed to be wasted. 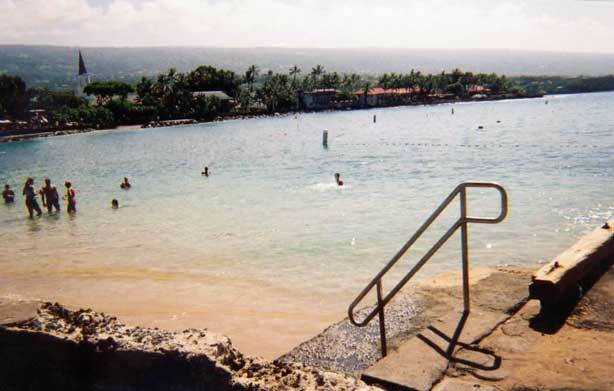 I called my hotel in Kona and asked about the local situation, the state of the roads, the sea, injured people… The hotel manager was very confident that the race would still take place and he told me that competitors had started swim training already again and that no one had been seriously injured. The roads were about to be cleaned and in the remaining 10 days before the race everything would be done to make sure that the race would take place. While most people turned around, I asked to be put on the next flight to Kona. The airlines had to wait for electricity to function again so that air transportation would be safe. I left to Kona late in the afternoon and arrived without problems in Honolulu. The airport was in catastrophic condition because lots of people were stranded there because of the delayed flights. I was offered accommodation by a local Hawaiian but I decided to wait at the airport. It took me some time to find my bike case with my racing bike and my suitcases with my racing equipment and I spent the night sitting on a bench in the airport, protecting my very expensive race equipment. I managed to call the emergency number of my airline and I was given a place on the first plane in the morning. 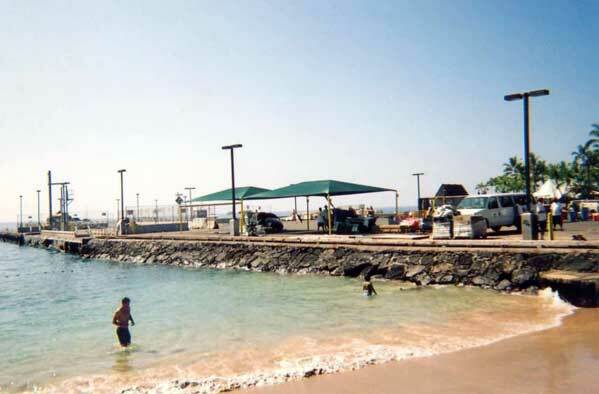 When I arrived in Kona, I first took a taxi to my hotel. The roads were covered with mud from the sea and also with rocks of the nearby vulcanoes. 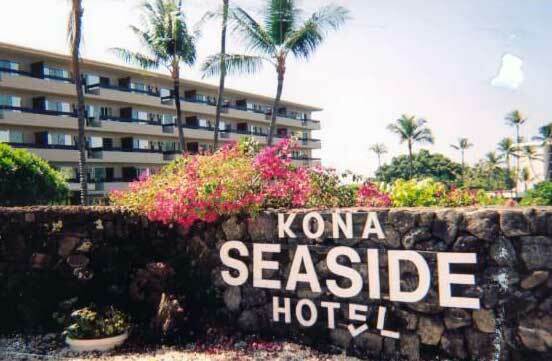 My hotel, the Kona Seaside, was placed directly at the sea at the start arena. I could see the swim race course from my balcony and also the transition area where the bikes were supposed to be racked during the race. I decided to first have my bike checked and so I took my bike case to Bikeworks which is the official bike mechanic of the Worldchampionships race. My bike was in good condition and ready for race preparation and the race. Next morning I took part in the official swim training which starts at 6am every morning in the weeks before the race. The waves were still quite high from the earthquake and it was hard effort to swim out into the sea. In the Worldchampionships it is not allowed to wear a wetsuit which would provide bouncy. I was fighting the waves quite a lot in just my bikini but I managed to swim out into the open sea. I trained swimming every morning and the sea calmed down over the ten days that I stayed there for race preparation. Once the roads were clear, I cycled parts of the race course to get used to the wind and the heat. 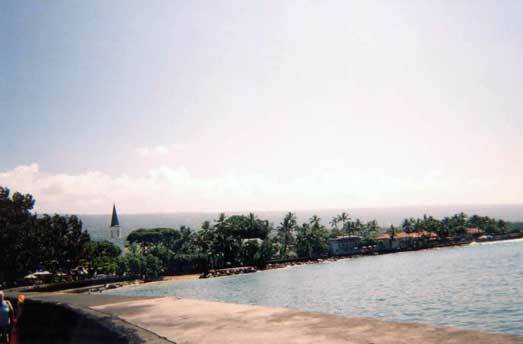 One day I had myself transported to the turnaround point in Hawi and I cycled all the way back to the finish which is 90km, completely on my own. Anyway, it was never really be possible to be alone anywhere on the race course because people were training all day long. I did some short runs in the evening along Alii Road which was part of the run course. On race day I got up at 4am and I had my usual race breakfast, mainly consisting of Powerbar sports nutrition. I had not slept very well because the race crew had been preparing the race venue and especially the start and finish arena around my hotel all night long. I was tired when I walked the 100 meters from my hotel to the start, but all excited and ready to give my best. I had checked in my bike and my swim-, bike-, and run bags the day before. On race morning I just had to take myself to the start. I was body-marked and my race number was painted on my arm and my leg. After body marking I was allowed to check my bike, pump up the wheels, and warm-up for the swim start. At the swim start there was a fight as usual to get into the water. Eventhough I had trained the whole week open water swimming, I had a very hard time to get around the 3800m swim course. At the turnaround point there was a huge ship placed, full with spectators. I was swept against the ship and squeezed by the other swimmers because everybody tried to take the shortest course. On the way back I could increase my speed and so I reached the shore without problems. My swim time was well under the cut-off time and so I climbed out of the water and ran through transition to fetch my bike bag and get dressed for cycling. I had a good start on the bike and the 180km bike course turned out to be the best part of my race. Eventhough the wind was very strong all along the course and especially around the turn-around point in Hawi, I could keep my bike under control and stay in race position on my tribars for 6 hours. It was raining during part of the course and the air was very humid. The bike curse runs through the lava hills, mainly on a motorway and there is no shadow. I was very badly sunburned and my skin was coming off in blisters. Even many weeks later, the skin in my face was still peeling off. My nutrition and hydration worked out very well. I followed Powerbar advice and I had one powergel every 20 minutes and some fluid every 10-15 minutes. When I arrived in the bike-run transition, my back was hurting and my skin was burning like fire but I was in such competitive mode that I was not to stop. I dropped off my bike and ran into the transition tent to exchange my bike shoes for my running shoes. It was hard to start running after the extreme effort on the bike. There was no flat stretch on the cycle course but continuous hills. When I left transition, I was overtaken by the first four professional men who had just finished the marathon! I admired them for their strength and endurance and it gave me so much motivation for my marathon, that I ran one of the fastest running times, just about3.5 hours. My fast cycle ride and my very fast run compensated for my problems during the swim. When I arrived in the finish area after 42.2 km of running in the lava hills of Kona, the trainer of the Austrian National team was standing there watching me. I was recruited as full-time professional and Elite athlete by the Austrian National Team after my performance in Kona, which was by far the greatest achievement in my life. More information about the Ironman in Hawaii here.